Microsoft cofounder’s impact on Seattle will be a lasting one — on many fronts. 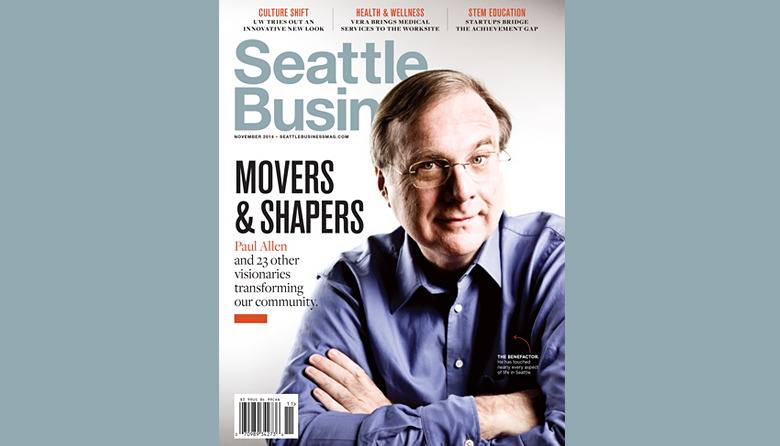 Paul Allen has died. The Microsoft cofounder was the architect of so much of Seattle’s modern identity — from popular culture to sophisticated science to neighborhood revitalization — that it’s hard to say which of his contributions will have the most lasting impact. Allen died today of non-Hodgkin’s lymphoma, two weeks after saying the disease, for which he had been treated in 2009, had returned. He was 65 years old. While Allen’s vision was indeed global — nay, universal — his love for his hometown was unmistakable and palpable. He kept the Seattle Seahawks in Seattle (and delivered a Super Bowl championship to the city). He transformed the South Lake Union neighborhood (and nurtured the Amazon juggernaut). He built the Experience Music Project (and changed its name a few times before settling on the Museum of Popular Culture). He created the Allen Institute (and advanced the study of brain science, cell science and bioscience). Click here for a timeline of Allen’s achievements and Vulcan Inc.’s official news release on Allen’s death.